If there's one colour that is everywhere this season, it has to be, without a doubt, blush pink. Whether it's t-shirts, jumpers, coats, boots, you can't avoid it and I wouldn't even want to. 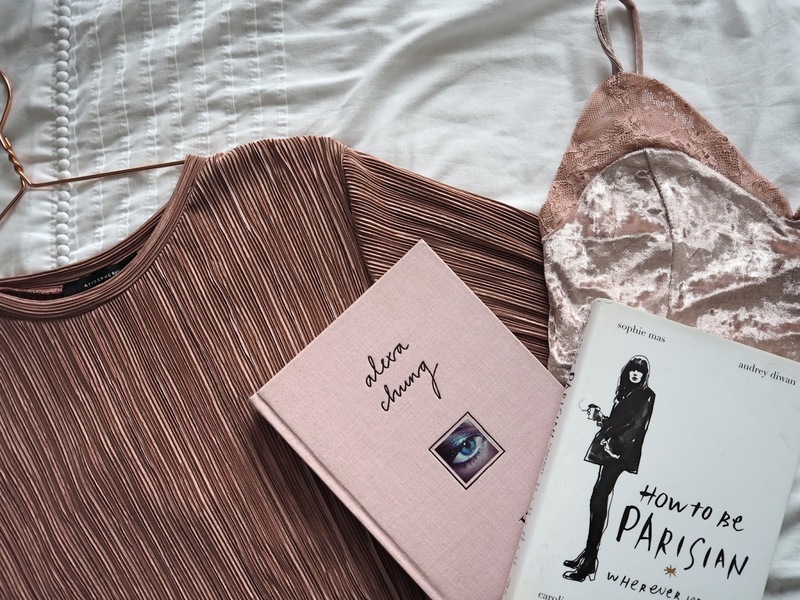 I've never been a very girly girl, certainly never a big fan of wearing any pink, but something about this trend just draws me in. I do feel a bit like an imposter, I'm not the type of girl who wears pink, but I just love this shade right now so I'm rolling with it. Hence why I thought I'd dedicate a whole post to showing you some of my recent pink purchases! I've picked up three little pink tops on three different trips to Primark. The first is my most recent buy, and I love micro-pleat trousers so why not try a t-shirt? Super comfy and stylish at the same time. 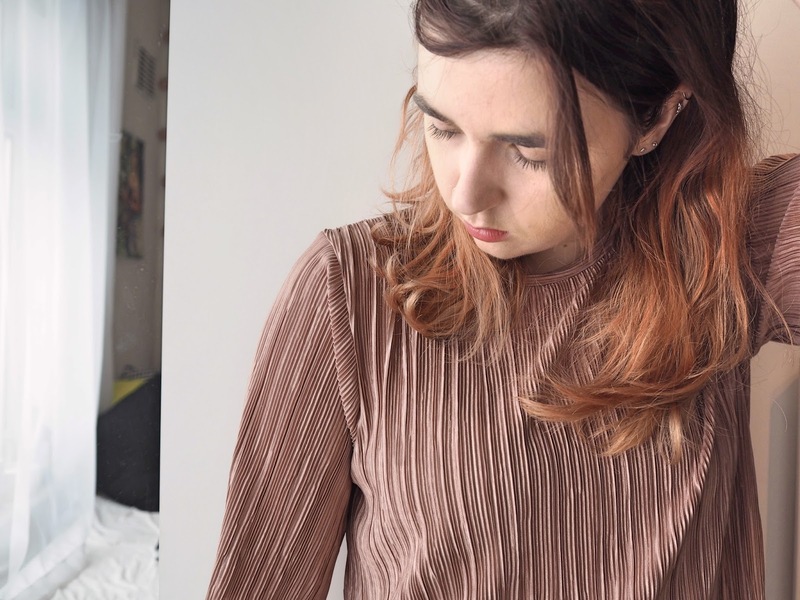 The velvet turtle neck and the suede effect cami are both perfect layering pieces, and I've been getting quite experimental with my layering lately, past the basic jumper over a vest, so I'm loving these two! I included this jumper in my knitwear lustlist a couple of weeks back and it was in my ASOS saved items for weeks prior to that! 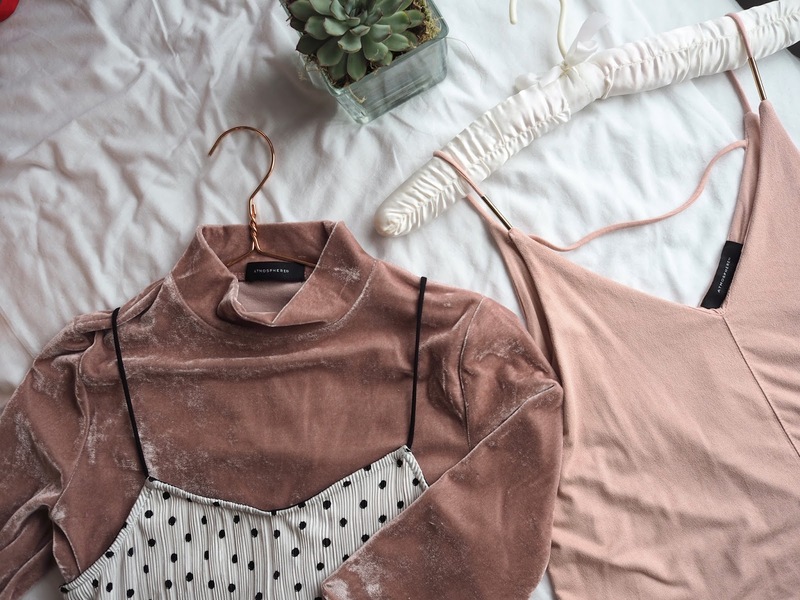 The choker is another trend that's been everywhere too, so a cosy blush pink jumper that incorporates this is perfect, no? It's super soft too! I got this L.Credi bag back in July thinking the colour was perfect for summer, but it's fitting in pretty well for Autumn and will transition well into Winter too! It's a bit more of a musky shade, but it's such a cute bucket bag style and super structured. It goes with practically anything too! I do love me some fancy underwear, much like most girls, and this set (top & bottoms) is just so different to any that I own! I saw it on the ASOS instagram account and ordered it instantly. I'm all about pretty lace barrettes and this is just that little bit *more*. 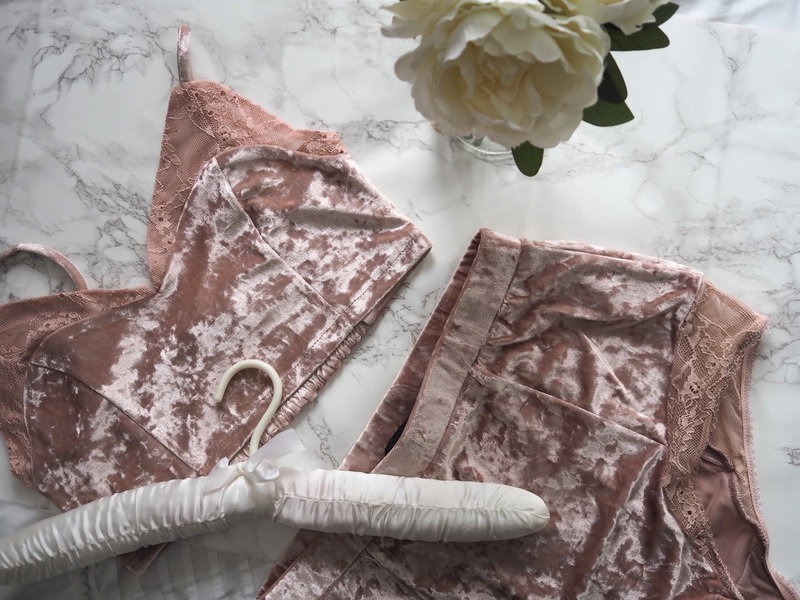 Velvet, lace and blush pink? What more could I possibly want, lets be honest. When it's cold and rainy and dark when you get home, oversized hoodies are the only thing you want to wear, right? 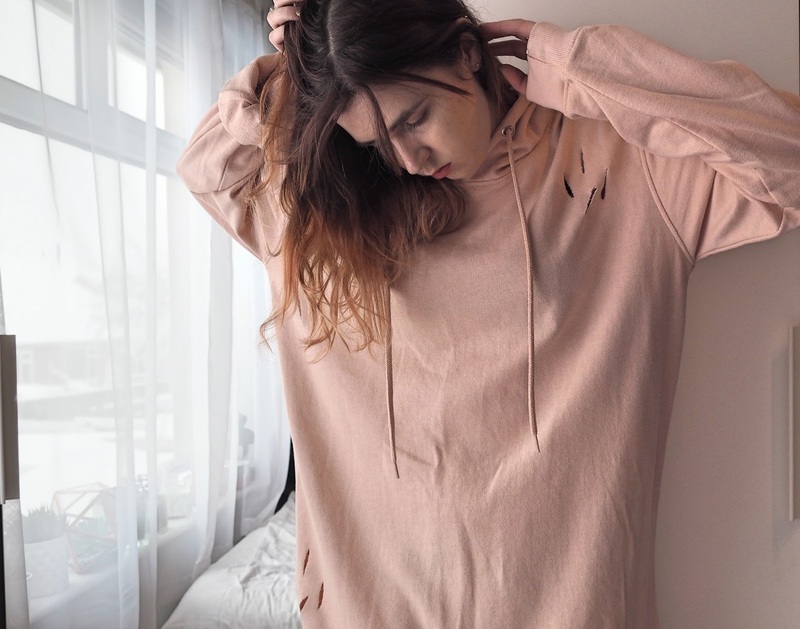 So oversized hoodies that are blush pink, dress length and have distressed detailing are next level. Add black faux leather over the knee boots for that super extra look because A/W fashion is the best time to be extra if you ask me. (This one is from Missguided but has sold out atm). 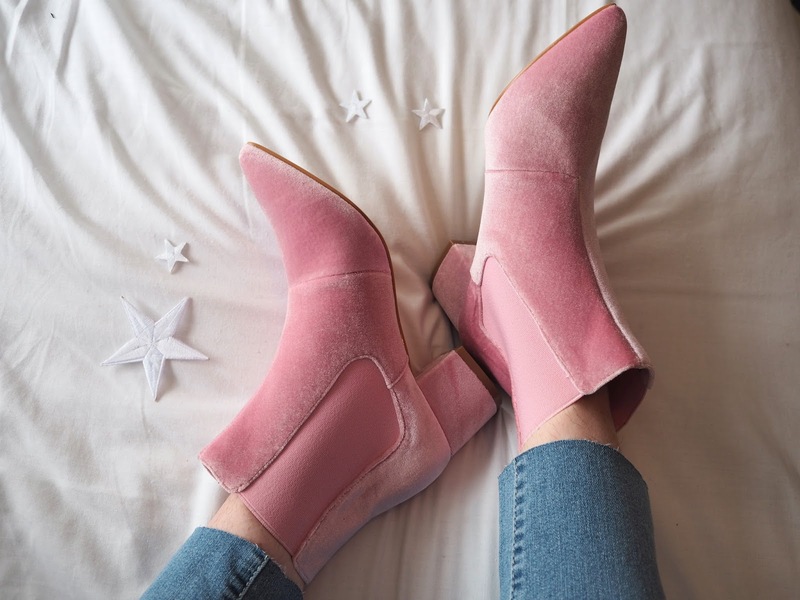 My newest purchase is these dreamy suede effect ankle boots. Writing this and looking at the snow out of my window I realise they're not the most practical for this time of year, but who cares when they're this pretty? I went onto ASOS last week to order a Christmas present, got distracted and ended up with these. TREAT YO'SELF. I actually have some pink velvet thigh high boots which I completely forgot to include here, but they've featured on my Instagram a couple of times and are from ASOS if you want to be next level extra. 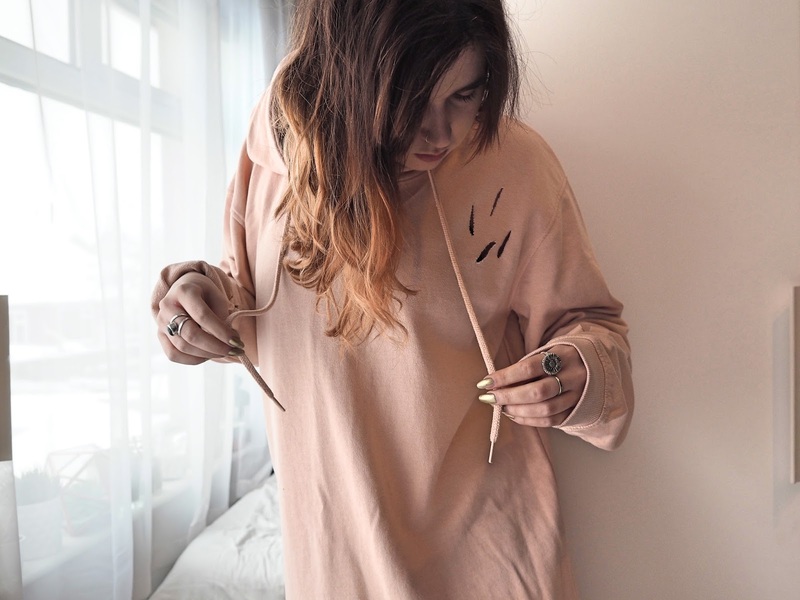 Enjoying the blush pink trend?